OC Transpo has fired the driver who was seen yelling and swearing at a passenger on a YouTube video, but the 'mildly autistic' passenger told CBC News he is saddened by the news. OC Transpo has fired the driver who was seen yelling and swearing at a passenger on a YouTube video, according to a memo released to City of Ottawa councillors and staff. The driver's tirade was caught by another passenger on the No. 96 bus heading towards Kanata, as 20-year-old Matthew Taronno, who described himself as "mildly autistic," stood at the front of the bus. But Taronno told CBC News on Monday night he did not want the driver to lose his job. "I'm kind of saddened that it took it this far. I feel bad that it happened," said the passenger, who added he thinks he provoked the incident but the angry response was not justified. Taronno tried to apologize for reading a script he wrote that contained some "inappropriate language" aboard the bus. The driver, 56, was in no mood to hear it, Taronno had said. Transit management told staff in the memo it completed the investigation of the incident, which has resulted in the driver being fired. 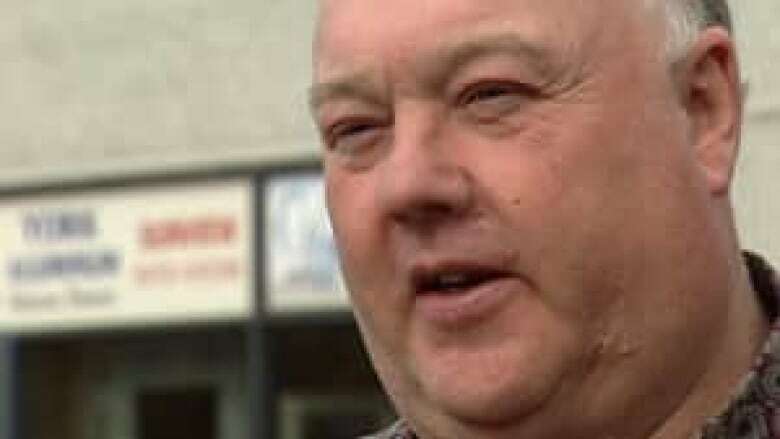 Garry Queale, president of Amalgamated Transit Union Local 279, told the CBC's Cory O'Kelly that the union will appeal the decision to fire the driver. Queale said he was surprised OC Transpo made the decision public so quickly. He also defended the driver in question — an OC Transpo employee for the past 25 years — saying he had been spat on two days before the tirade. Queale also said the man lost both his mother and wife to cancer within the past year. "In my opinion he will be rehired — maybe not as a bus driver — but he will come back and work for the City of Ottawa," said Queale, who along with other union leaders is trying to transfer the driver to another job in the OC Transpo garage. The driver, who was previously on paid leave, will no longer receive a salary pending the grievance. The 55-second cellphone video of the exchange has drawn hundreds of views and many angry comments since it was posted to YouTube. It shows Taronno in shorts standing near the front of the bus when the driver apparently yells at the passenger. "Shut the f---k up!" the man says to the passenger. "Shut your ignorant f---king cake-hole! Don't say another f---king word!" The stream of abuse also included a physical threat against the rider. OC Transpo acknowledged the possibility the union would grieve the firing of the driver the decision in its memo to city staff.